This one's for everyone who always complains when I post ice cream recipes because they don't have an ice cream maker. 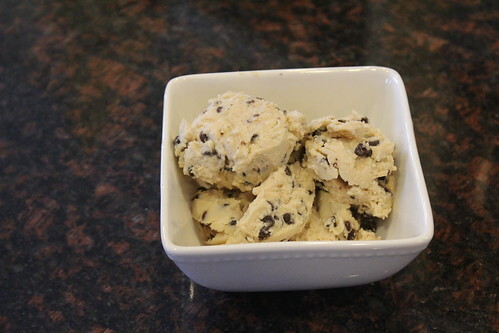 No ice cream maker required for cookie dough fro yo! It's a perfect summer recipe, and it has yogurt in it, so that means it's healthy, right? Jeff and I loved this frozen yogurt so much that we ate teeny tiny servings of it to make it last longer, which is silly because I could've just made more. But you know. Directions: 1. In a stand mixer, beat butter, brown sugar, and white sugar until light and fluffy. Add vanilla and beat until incorporated. 2. 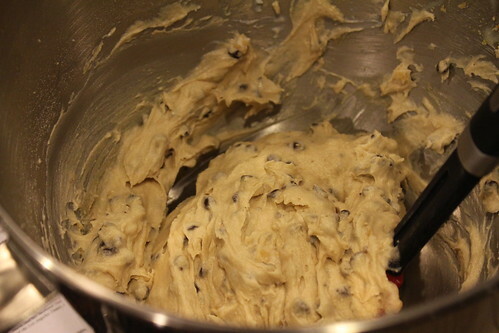 In a separate bowl, mix together the flour and salt. 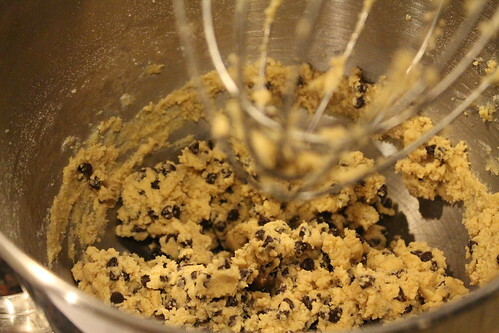 Add the chocolate chips and stir. 3. 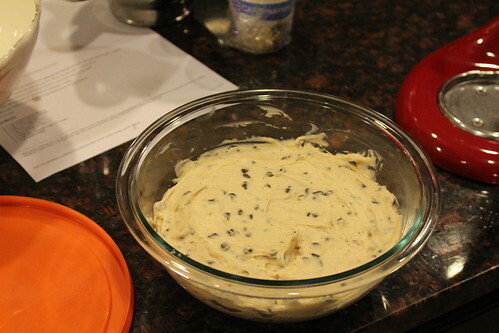 Add the flour mixture to the butter mixture and stir gently. Add yogurt and stir again. 4. Scoop the mixture into a container with a lid. Cover and freeze until set (overnight, or at least a few hours). I have made this before and LOVED it!! It tastes just like eating cookie dough, but with that tang from the Greek yogurt.